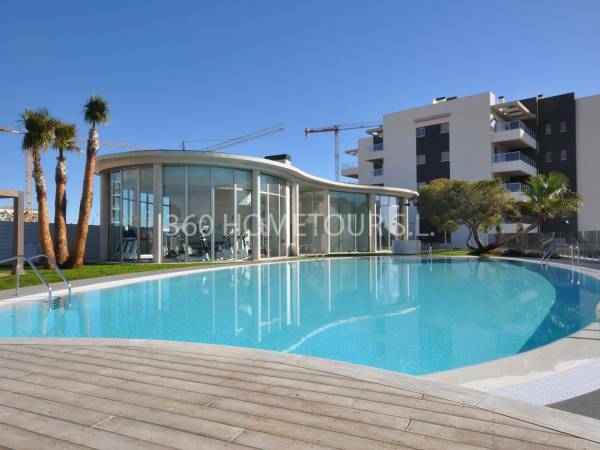 If you want to live by the sea in a place where the sun always shines, then we advise you to visit our properties for sale in Orihuela Costa Spain. Orihuela Costa is made up of an extensive strip of Mediterranean coastline that covers more than sixteen kilometers of the Costa Blanca. It is formed by extensive and wonderful beaches of golden sand and transparent and temperate waters. We also find beautiful turquoise blue sea coves ideal for snorkeling or diving and, thus, discover the depths of the sea with its flora and fauna. The privileged location of Orihuela Costa gives it an excellent climate, where the sunny and bright winters are ideal for relaxing sunbathing on the seashore. These magnificent beaches have all the necessary services for you to enjoy a relaxed and comfortable day. You will be able to find showers and foot-washes, hire of hammocks and parasols, wooden walkways to access the beach, countless beach bars where you can have an ice cream or a soft drink, security and lifeguard service, etc. For all these characteristics, year after year, they accredit the beaches of Orihuela Costa with the "Blue Flag" badge, positioning it as a quality tourist destination. 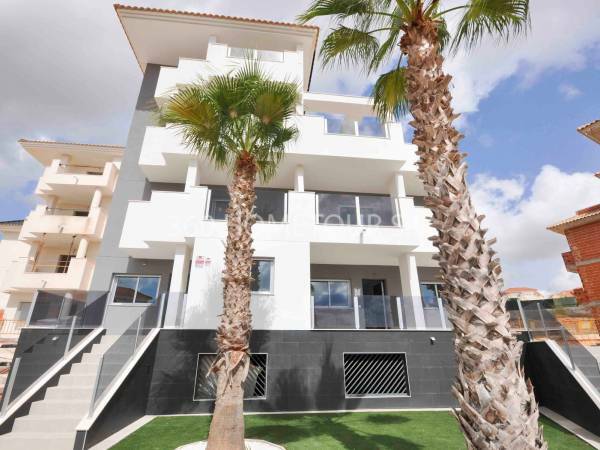 What advantages will you find in the properties for sale in Orihuela Costa Spain? 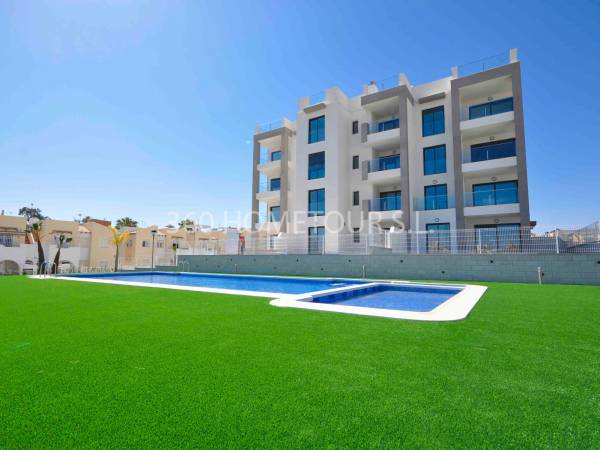 The ideal place to live golf and sea enthusiasts, without having to give up any of their favorite activities, are the properties for sale in Orihuela Costa Spain. Due to the excellent weather conditions, where the winters are pleasant and sunny and without rainfall, in Orihuela Costa you will find an extensive range of 18-hole golf courses. Depending on your level and difficulty, you can choose those golf courses that are most suitable for you. We have beautiful properties in the urbanizations that surround these golf courses. It is beautiful residential surroundings with a select neighborhood where you can live relaxed. The good communications network established in the Spanish Costa Blanca, will allow you to access the beach, the golf course, the main surrounding cities or the international airports of Murcia or Alicante in a short space of time. You will be pleasantly surprised with the great offer of flights to the main European destinations that the airports of the Costa Blanca offer you. 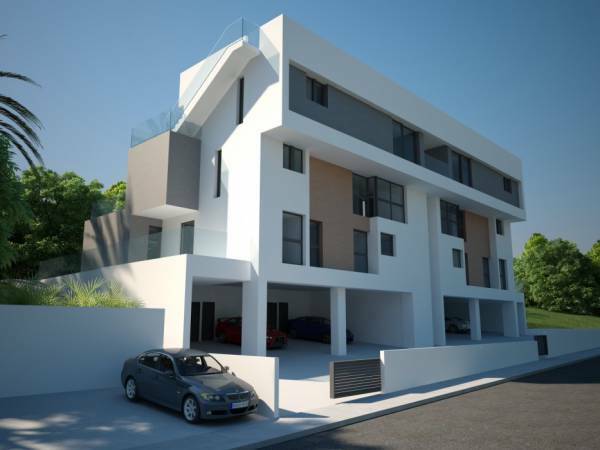 Tell us how is the house of your dreams and we will offer you a studied selection of properties for sale in Orihuela Costa Spain that meet your requirements. 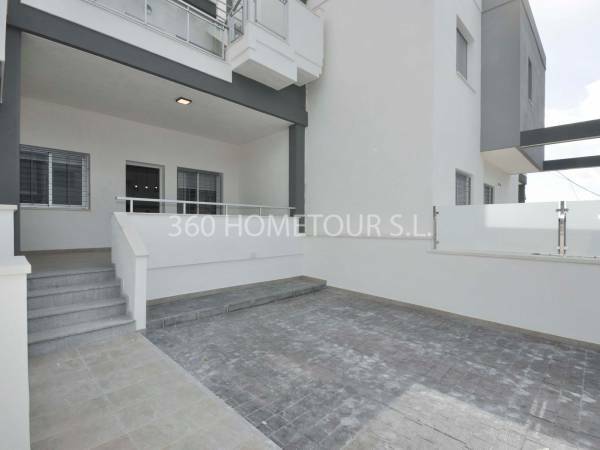 Our real estate offers you a special service: 360º panoramic photos. We offer you a virtual trip for the housing that may interest you. 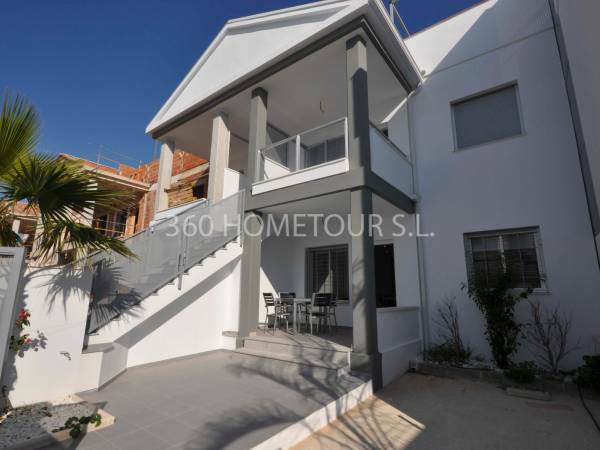 360hometour has a long experience in the real estate sector on the Costa Blanca. We were the first real estate agency to offer you the possibility of observing our homes with a panoramic perspective. Subscribe to our newsletter and we will keep you informed periodically of our news. You can also follow us on social networks. To contact us you can fill out the form that appears on the web or visit us in our modern offices located at Avda. De las Habaneras, 85 - 03182 Torrevieja (Alicante).